Hello Everyone! Thanks for checking in - today I'll be sharing with you an interview with the beautiful Misa on Wheels a cosplayer based out of the New England area. You may be familiar with her work and she's coming up to Canada to be a guest at Anime North 2015! I've been an avid fan of her for sometime, not only does she do wonderful cosplays but she works as a tireless advocate for cosplay equality. So without further ado, let's get down to it! Rogue: Thanks again Misa for taking the time to do this interview with me! I�ve been following you for some time and I�m thrilled to get the chance to chat with you. Misa: The pleasure is mine! I hope you're doing well! Rogue: I am! Thank you for asking. 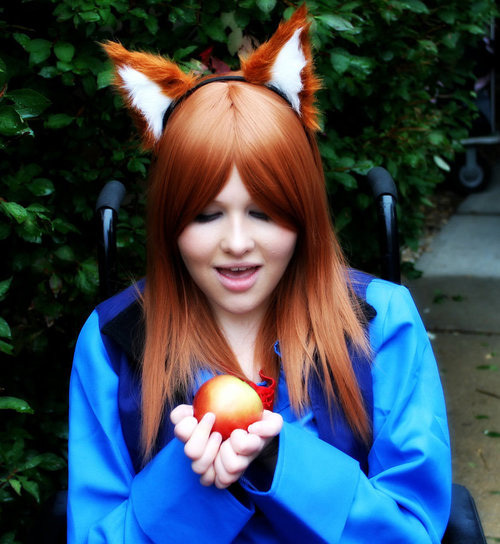 So to start off with, why don�t you tell our readers how long you�ve been cosplaying? Misa: I've been cosplaying for about 7 years now. Rogue: Very nice, and what was your very first cosplay? Misa: My very first cosplay was, appropriately enough, Misa Amane from Death Note. Rogue: Makes sense! Now were you like me and you picked the character because you had the same name, or did the name "Misa on Wheels" come from that first cosplay? 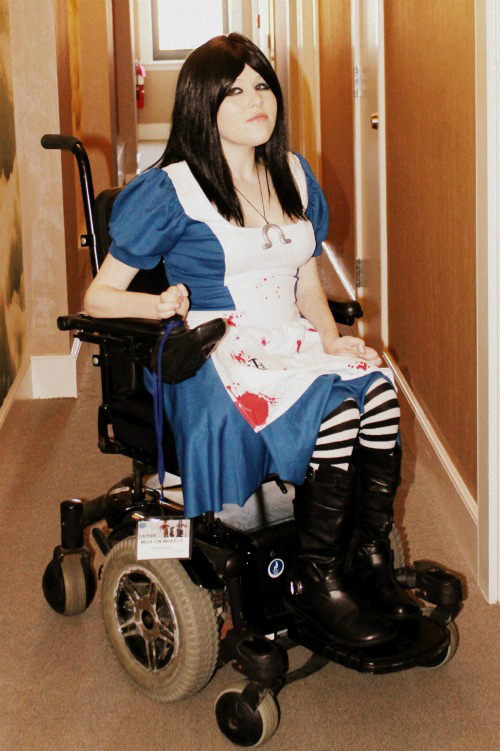 Misa: I was at my first con, and one of my now best friends in the artist alley started calling me Misa on Wheels. I was cosplaying as Misa, and the name stuck. Rogue: Interesting! What about your favourite cosplay, out of every character you�ve done, which has been your favourite and why? 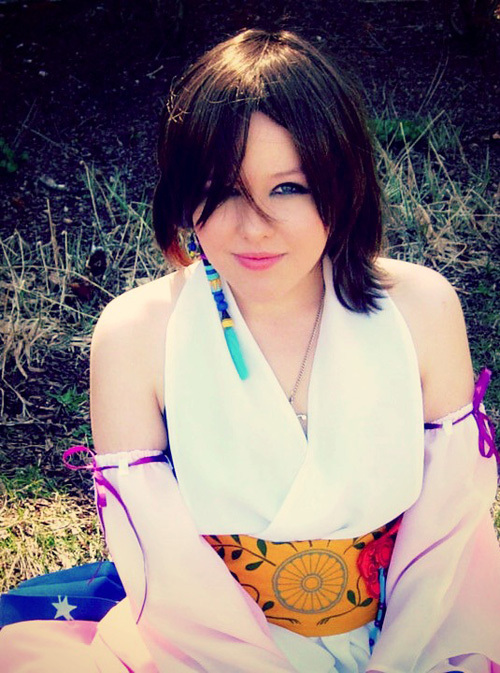 Misa: My favorite cosplay I have done has to be Yuna from Final Fantasy X. I see so much of myself in her, and I suppose one could say she is my spirit character. Daenerys is a close second for similar reasons. Rogue: I have to agree on the Daenerys front. Although I'm seeing less of myself in her since the last episode of season 4. Haha. So what inspired you to begin cosplaying? Misa: I have always loved dressing up, whether it was for Halloween or the heck of it. And when I discovered cosplay, you could say the stars aligned. Rogue: I know the feeling. Now, the first cosplay of yours I ever saw was Luna, and I fell in love. I cannot recall from where, but I knew I had to find your personal cosplay page. 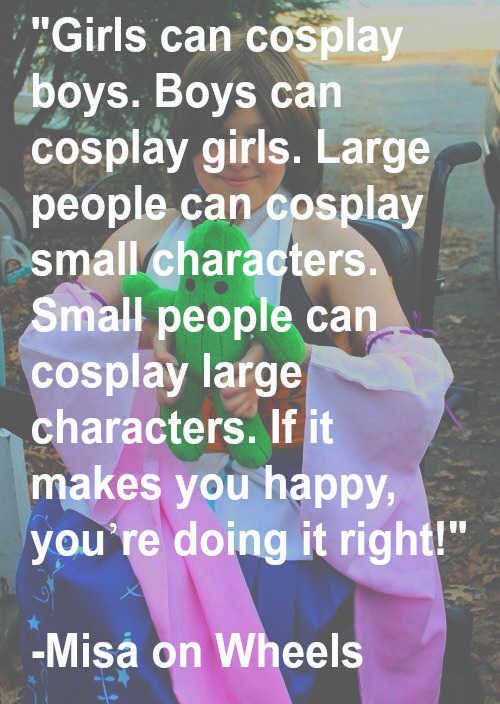 When I did, I was surprised and impressed to see countless memes supporting cosplay equality. Could you tell us a bit about how you became such an advocate? Misa: Well, I have certainly seen my share of hate and bullying, especially when directed towards others. I have always been able to shake it off, but others have been very hurt and even stopped cosplaying because of someone's cruel words or general bullying. I have never been one to passively watch this happen, and as I spoke my mind, more and more people listened and took my words to heart. The fact that my messages can make such a difference inspires me so much. Rogue: And personally it's such an inspiration to see people harness their "power of cosplay" if you will for such positive causes. Do you also advocate at events or just online? Misa: Both, but I certainly adore my online community. 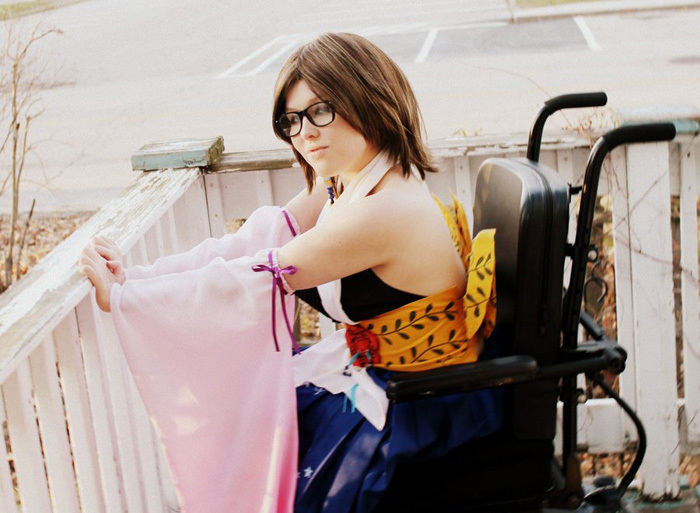 Even before cosplay, I served as State Goodwill Ambassador for the Muscular Dystrophy Association and advocated for those with conditions both the same as and similar to my own. Rogue: That's wonderful. 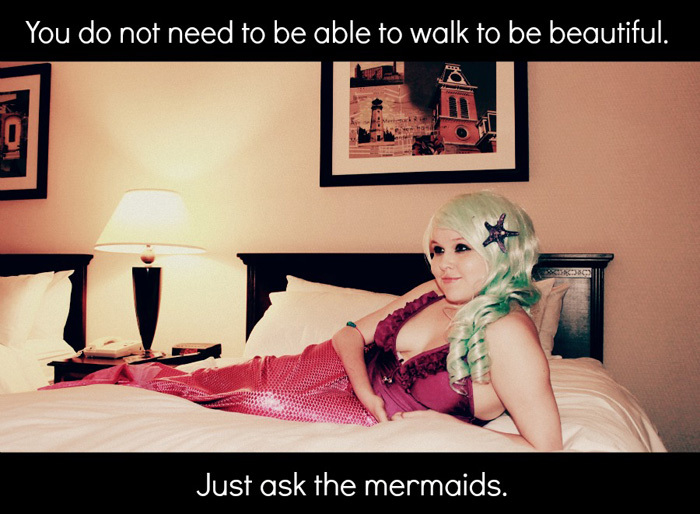 It's great to see a sliver of life outside of cosplay. Similarly I volunteer with a lot of Deaf organizations when I'm not cosplaying. So what events do you typically attend? Do you just attend as a ticket holder? Host panels or workshops? Misa: A number of anime and gaming conventions around New England, such as Another Anime Convention, Anime Boston, Granite State Comic Con, and Connecticon. 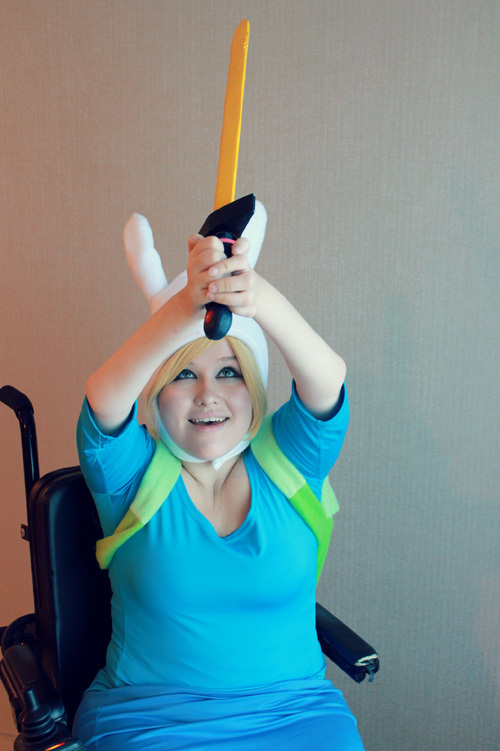 My most well-known panel is about characters with disabilities in geek culture, called Catears and Crutches. And I am so excited to announce that I have been invited to be a guest at Anime North this year, which is an honor beyond words! Rogue: Now that is a panel I would love to sit in on! 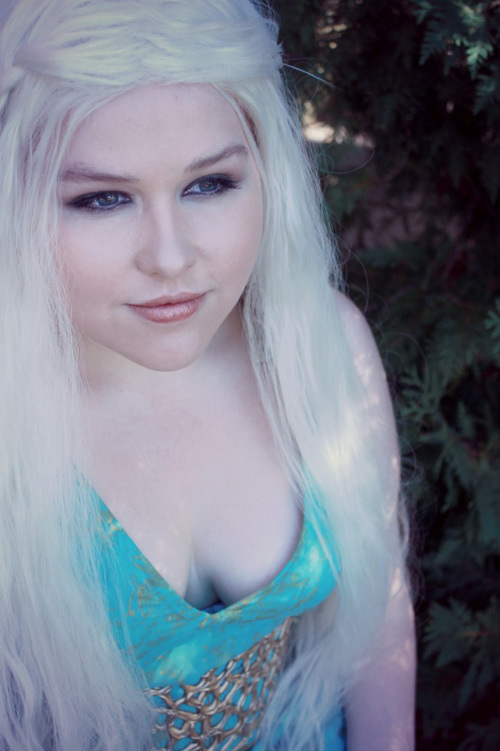 Hopefully you'll get to meet at least a few of us Geek X Girls at Anime North! Now onto a more personal question, One of my favourite posts of yours reads, �Parents, don�t hush your kids when they ask why comeone is in a wheelchair. Questions lead to answers. Answers lead to understanding. And where understanding exists, ignorance cannot survive.� I think you touched a very important issue here. In our North American society we are often taught: don�t stare, you can�t ask that, that�s inappropriate � and while obviously politeness and decorum are important, how can people learn about differences without being able to talk about them? So on that note, do you mind explaining to both myself and our readers about your experience? Have you always been in a wheel chair? Misa: I have not. I had use of my legs throughout about half of my childhood and had to start using a wheelchair at age 10. I was diagnosed with Charcot-Marie Tooth Muscular Dystrophy when I was only 2, and always knew the day would come that I wouldn't be able to walk anymore. To me, a wheelchair is just another physical quality, like hair color or height. It is part of who I am but has never defined me. That being said, I am very comfortable discussing my own condition and always welcome questions. Rogue: I think it's wonderful that you are so open about your personal experiences. I think it not only helps combat ignorance but it helps others who may be going through similar journeys find someone to relate too. Now, do you tend to find that most conventions are accessible or not? What would change in regards to accessibility? Misa: For the most part, conventions and their staff are very accommodating. I have been treated so well by everyone I have encounted and have no complaints in this area. Rogue: How about specific to this 2015 year? What events have you planned? Misa: Now that Anime Boston has gone by for the year, I am looking forward to Anime North, Another Anime Con, and Granite State Comic Con for sure! Rogue: Very nice! What about cosplay plans themselves? Any new characters in the works? Misa: I am putting together my first Pokemon gijinka and will finally be doing Saria from Ocarina on Time, one of my dream cosplays! Rogue: Awesome! I can't wait to see your Saria. 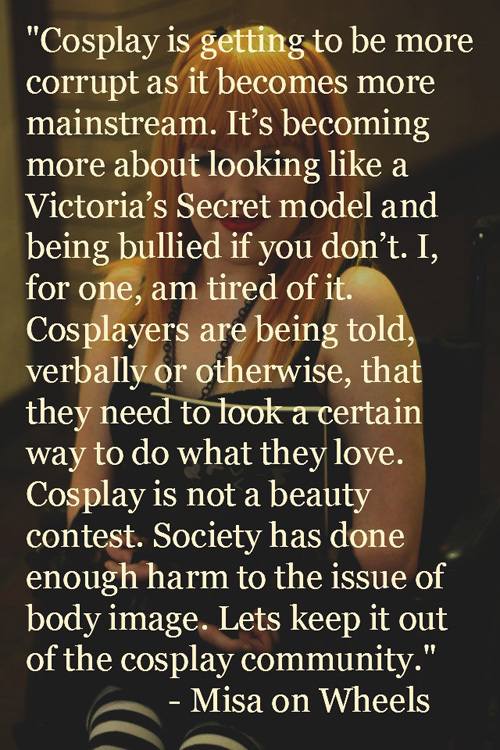 Now, while it seems to be an unfortunate truth of human nature, that bullying exists in every community, what advice would you give to cosplayers who may be experiencing this behaviour? Misa: Never let hateful words stop you from doing what your heart is set on. You are so much more than another person's words or negative thoughts. Keep doing what makes you smile, and never let anyone take that smile away. Rogue: Excellent advice. On a more positive note, what has been one of the best or most inspirational moments in this community for you? Misa: Every message I get from someone following my page keeps me so inspired. If I ever feel run-down or am having a rough day, all I have to do is read any one of the wonderful messages I have been sent, and everything negative just fades into oblivion. I can't believe all the love and support I have been given and continue to receive ever day. And I can't even tell you how beyond honored I am when someone gets excited to meet me. This never stops feeling wonderful. As I have said so many time before, I am the luckiest girl in the world. Favourite Video Game: I can't pick just one! Haha! Spyro the Dragon, Resident Evil 4, Final Fantasy VII and X, Shadow of the Colossus, and The Legend of Zelda: Ocarina of Time. Favourite Board Game: Again, more than one! Lords of Waterdeep, Morels, and Abyss. Favourite Movie: The Sound of Music, The Silence of the Lambs, Alice in Wonderland (1999) and Schindler's List. Favourite Television Series: American Horror Story currently. Favourite Anime: Death Note, Squid Girl, Deadman Wonderland, Elfen Lied, My Bride is a Mermaid, Sgt Frog...to name a few! Favourite Manga: Death Note again. Favourite Superhero: Spiderman...or Spawn! Yeah, Spawn. I love Spawn. Favourite Animal: Cats and fancy goldfish. If you could have one super power what would it be? To be able to speak and understand every language. And to animals!